Annotation: The Academic Vocabulary Practice Workbook for first grade offers teachers 128 pages of practical ways to help students master essential academic vocabulary. It is aligned with Common Core State Standards and includes word lists of more than 200 domain-specific words, reproducible practice pages, game templates, a student dictionary, and an answer key. Additionally, a full set of vocabulary flash cards is available online. --The Academic Vocabulary Practice series for kindergarten through grade 5 supports literacy in the content areas of language arts, math, science, social studies, geography, civics and economics, art, and technology. 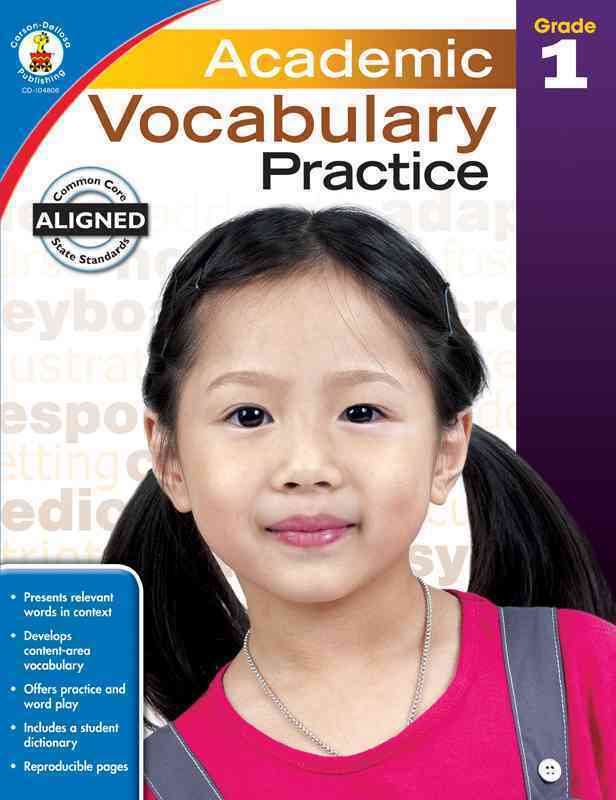 Each book offers systematic practice and usage of many of the academic and domain-specific words and phrases that students need to know to successfully complete work at grade level. There is also a Games and Suggestions section and game templates for small or whole group activities! The Student Dictionary pages are organized by content area and support the activity pages in each section.